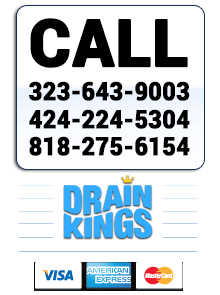 For premium solutions and expertise for your drain, sewer and plumbing issues in Los Angeles and the San Fernando Valley, depend on the best and call the Drain Kings. We get to you fast, 24/7. Our team of experienced plumbers are on-call from strategic positions across Los Angeles and the San Fernando Valley area. When your call is received, we dispatch the nearest available who will arrive at your door fast, in a fully stocked vehicle, ready to start work. 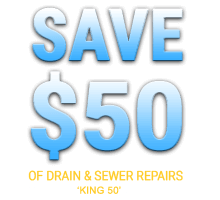 We use state of the art diagnostic technology to accurately identify and locate the precise problem within your drain or sewer. With the right diagnosis we then offer the most suitable solution.  Whether it's a blocked drain, cracked or leaking pipe we have the experience, expertise and equipment to provide the best solution. We'll provide you with a full cost of the work required. Not an hourly rate, but a full up front per job price. For a superior, faster and less destructive solution to damaged pipes, we offer trenchless relining. No digging required to repair or replace your pipe. Discover more about the trenchless relining here. We stand behind the high quality of our workmanship with a written warranty for your confidence and peace of mind, as well as excellent manufacturer warranties. You'll be provided with the most effective and efficient solution to suit your budget and needs. Plus you could save by taking advantage of our regular promotions and special offers. 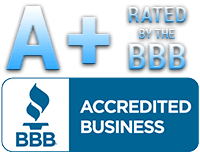 We are fully licensed and insured as plumbers to take care of all your plumbing concerns. 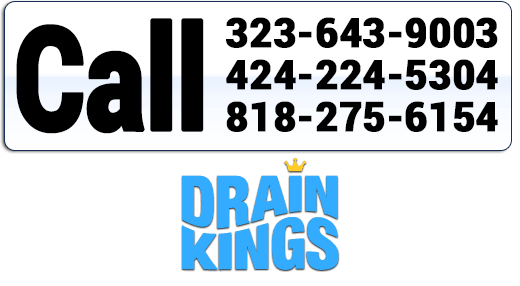 For superior drain, sewer and plumbing repairs and solutions, fast, in Los Angeles and the San Fernando Valley, choose the experts and call and speak with the professionals at Drain Kings today.